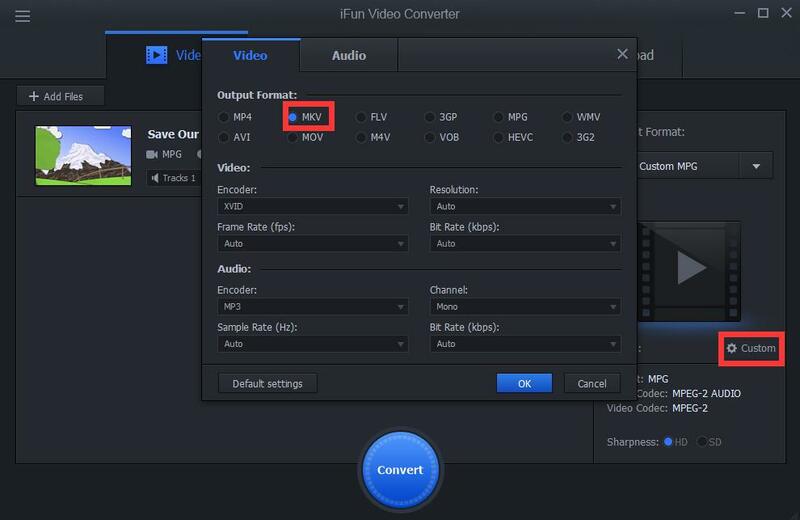 MKV is a kind of video format which can contain several different codes. So sometimes we want to convert other kinds of format to mkv, such as mpg. How can we do it? 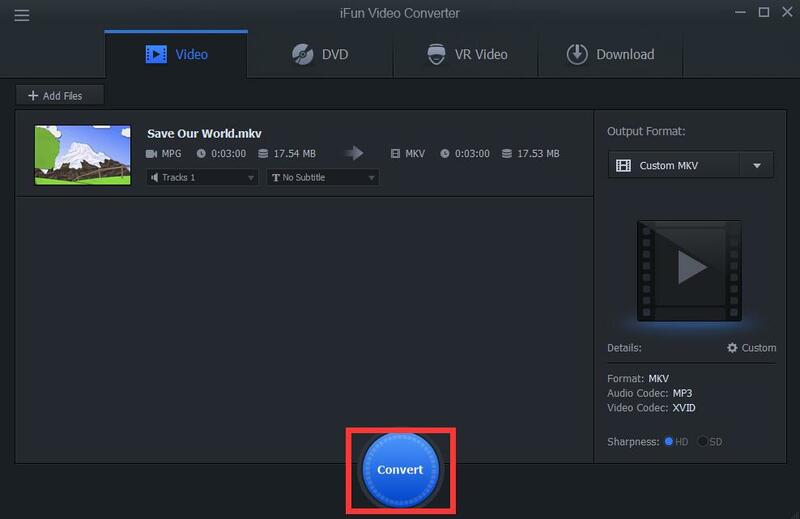 With iFun Video Converter, there are only steps to finish.